More music venue news in Cleveland. I can’t say I’ll miss The Phantasy all that much - but losing the Chamber hurts. "The circa-1915 building, which runs between 11794 to 11814 Detroit Ave. and spans more than 54,000 square feet, has found a buyer. The complex features three liquor licenses and is anchored by the Phantasy Nightclub. It also boasts the popular goth-rock lair, the Chamber, a long-running bar-club called the Symposium and, of course, the Phantasy Music Theater. The complex also boasts something more nebulous, but just as vital to the music scene: countless musical memories. Nine Inch Nails debuted at the Phantasy. The Ramones, Iggy Pop, the Pogues, the Damned, the Psychedelic Furs, the Cramps, Motorhead and the B-52s all played there. The Phantasy was also fertile soil for Cleveland's ascending 1970s and 1980s music scenes." 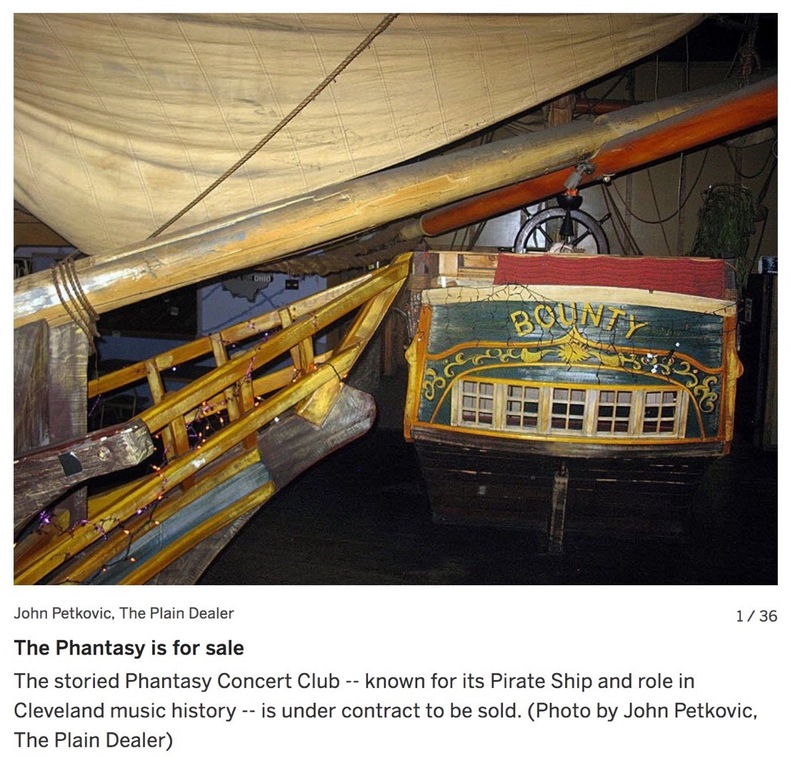 "After nearly three years on the market, the Phantasy Cleveland (which includes The Chamber nightclub) has been purchased by an unidentified buyer as first reported on Friday. A real estate source told NEOtrans's Ken Prendergast that the buyer will likely be ending the property's run as a performing arts venue and will remove its three bars in place of residential, offices and additional parking."